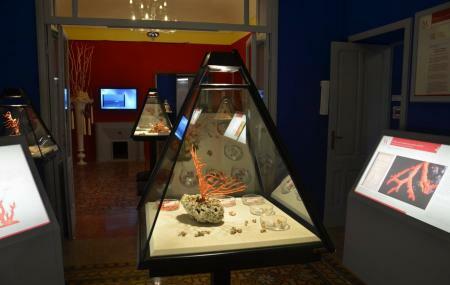 Located inside a lifestyle villa, the Coral Museum displays the history of the Mediterranean Sea via “Corallium Rubrum” - the primary resource of this territory. The museum takes you to a journey into the marine ecosystem through its displays that include history of the ancient living marine organism. It also tells story on the sea that still plays an important role for the city. You also get to see few ancient coral fishing and traditional jewelry of the marine people. You can visit the museum during mentioned evening hours. By city bus and get off at Alghero Via Sassari Lato Civico 23 Mercato Civivo. How popular is Museo Del Corallo? People normally club together Torre Di Sulis and Hiking At Torre Della Pegna while planning their visit to Museo Del Corallo. A very interesting museum ! Interesting place with lots of scientific information on the first floor but altogether very little coral exhibited. I expected a lot more of it! Very informative. Could be improved with some interactive and tactile features. It should be more interactive. It looked to me like a classical museum where mainly specialists could enjoy.